Recently, I have an opportunity to visit USJ , Universal Studio of Japan. I am one person who don't really fancy joining the queue just for the ride. Not to mentioned my enochlophobia syndrome. Really hate crowd. When I was browsing my life bucket list and found visit USJ is part of it. I was like...what was I thinking when I include this as part of the list. 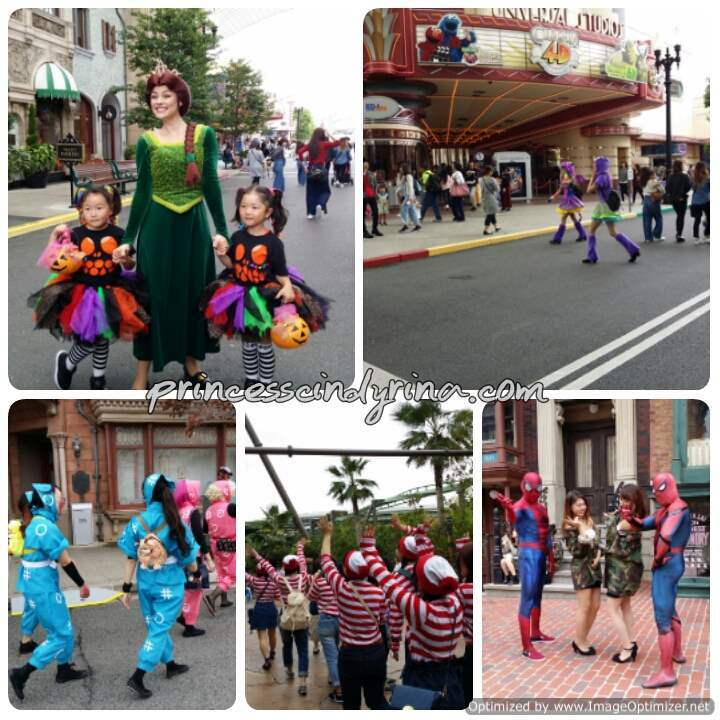 Whatever it is ...visiting USJ alone is possible. Well...it would be fun if you are with friends. 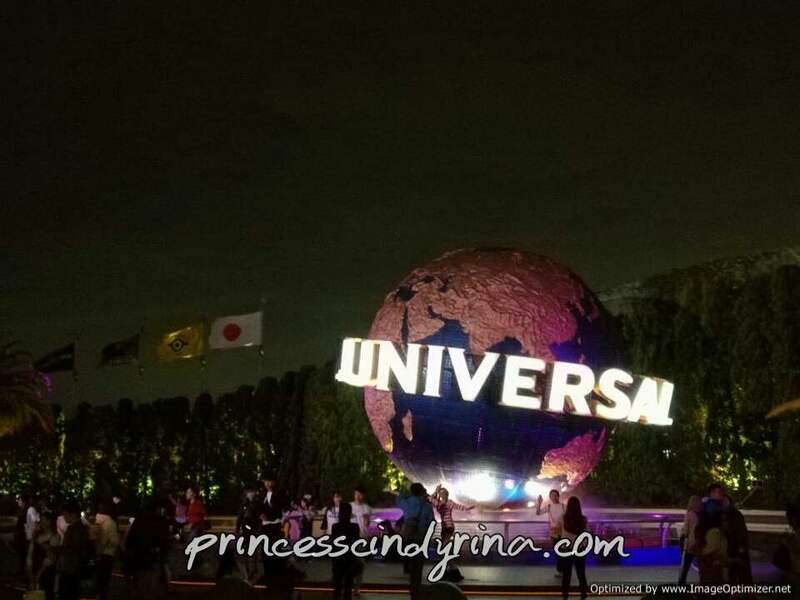 For those who interested to visit USJ for first time, here are some tips to make your visit more like lifetime event based on my recent experience. 1. Purchase your ticket in advance to avoid those long queue at USJ. Where to purchase USJ ticket online? USJ ticket from klook.com is very easy to use. I just need to print out the voucher and get it's barcode scan at entry gate. How much is the USJ ticket? Well, October is the peak season since China is on long holiday and the crowd are mostly Chinese , Korean tourist and also local. I bought mine for almost RM500 plus for both entry pass plus express pass. huhuhuh...once in a life time kind of visit for me. I don't mind to splash some treat for my own birthday gift. Yup! 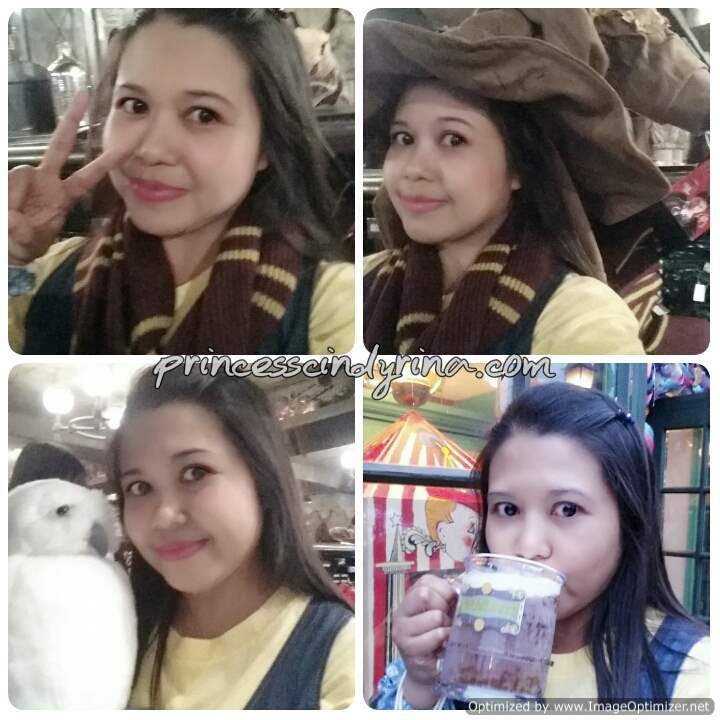 I went during my birthday 12th Oct. hehehe..
How to go to USJ by train ? I stayed somewhere near subway purple line. I think it Tannemachi line. Just bear in mind if you are going to USJ just make sure you take JR Yumesaki Line or another name is JR Sakurajima line. I always wanted to do cosplay once in my life time but don't really have suitable place to do that plus the timid side of me too. 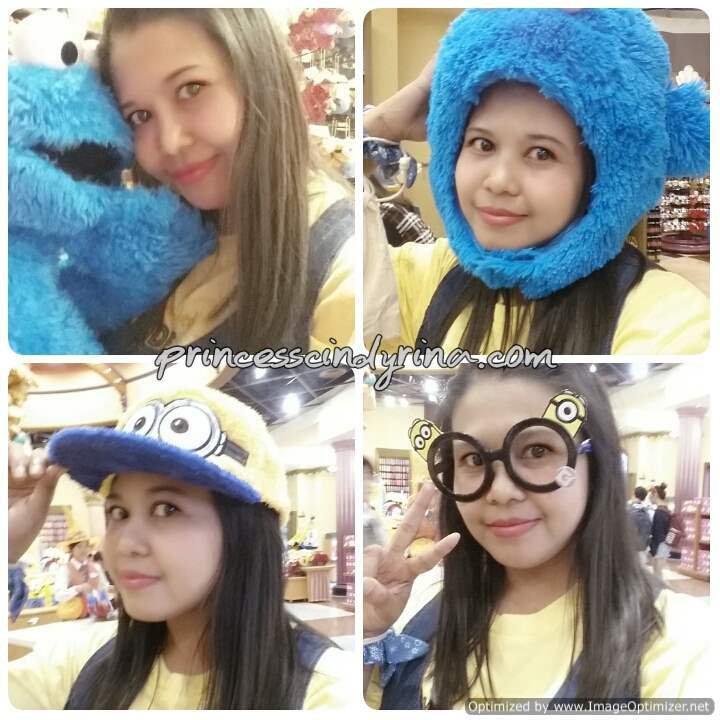 So I decided to dress up like a minions. Not like I like minions but this is the easiest one for me. No need to put much effort. Just one yellow T Shirt and blue denim overall over it. Yeayyyy!! 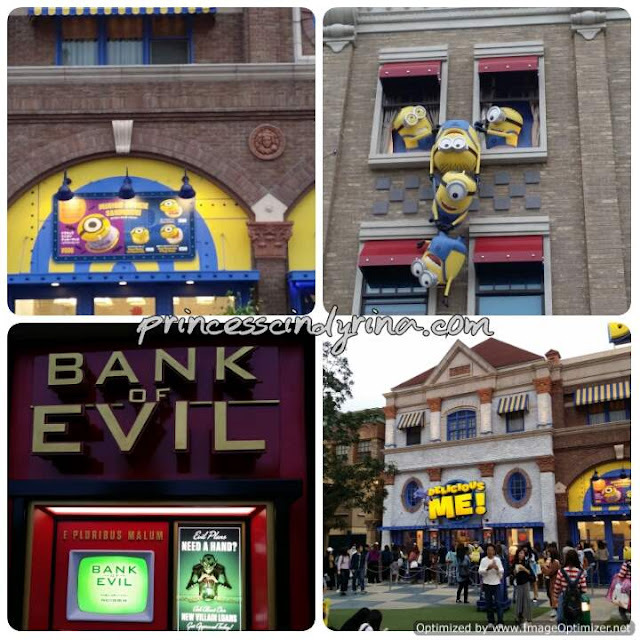 one minions happily took the morning train to USJ on 12th Oct. Although most of the USJ staff I met greet me as MIN-NIONS!! every time they sees me, I still feel intimidate. 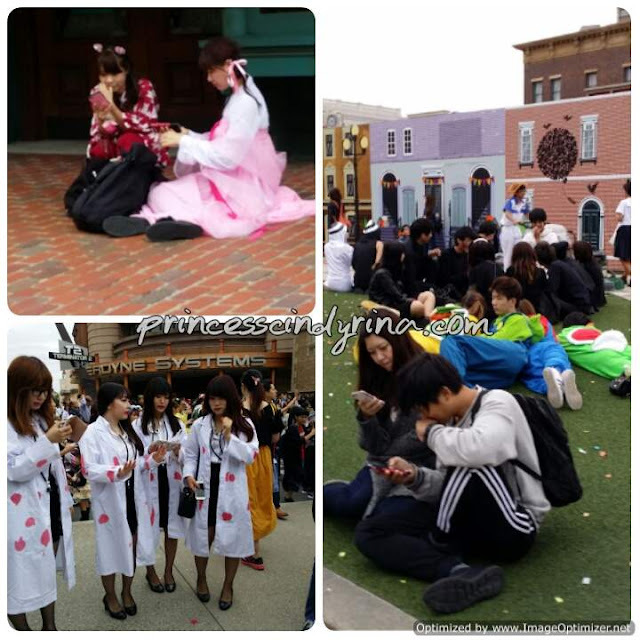 Seriously, most of the USJ visitors put so much effort for the cosplay costume. From clown, narruto, Chinese Vampire, Sailormoon, and many other anime character. They are all...DAEBAKKKK!!!! to my eyes. Salute! Since I went there during Halloween mood , many scary character around too. I will tell you later about me getting chase from Zombies and this minion really ran for life like one mad minion. I bought egg sandwiches at 7E below my hotel and then bought some hot coffee from Starbuck near USJ and wait for the entry time. It was drizzling at that time. Many girls are putting up costume and make up at Starbuck too. One Minion calmly enjoy the sandwich and hot latte, huhuhuhuh. 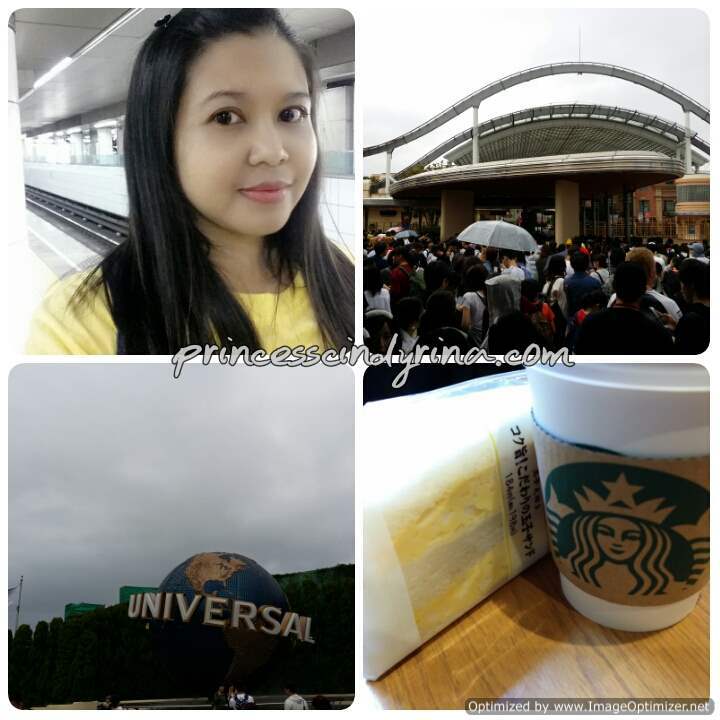 I went to the USJ gate around 8am and join the queue like anyone else. The feeling at that time...am I waiting for concert hall to open??? Once the gate opened at 8:30am most crowd don't walk ...they run. WTH! they really no joke. One minion calmly walk ..clueless and no direction too. It was raining heavily too. WTH! soaking wet minion looking for shelter. My no direction walk led me to Wonderland. I was the first person there. huhuhuh..I guess all the other crowd start with bigger and more adventurous ride. Why don't I warm up first ? It was the ride for little kids. Since I was raining, most ride seat are wet too. The staff was really delightful. 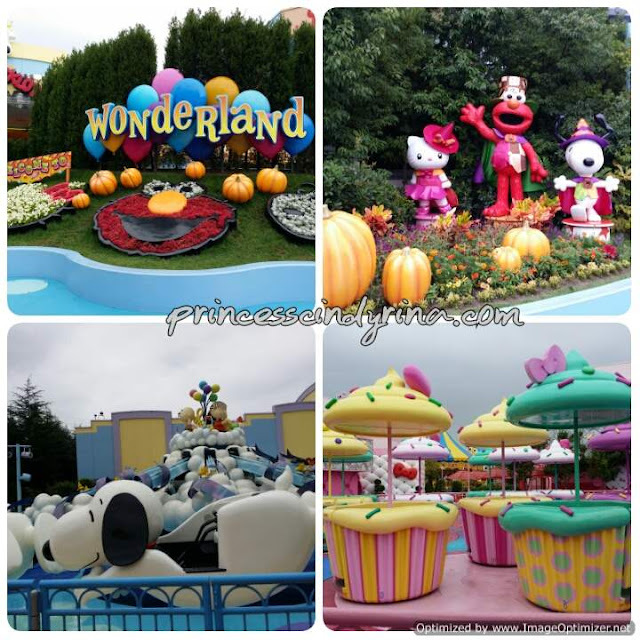 One minion enjoy snoopy merry go round, then the cup cakes round chair and also the Hello Kitty house. I was the first person for all this ride. I am one and only too. WTH! When I think back this is so much better rather than compete with little kids later on. kekekeke...This evil minion! photo take by one of the staff. At least this is free!!! Hello Kitty house at USJ - I really clueless on what is all about. All I know was greeted warmly, the they led me to do such pose. WTH! But..why not? kekekeke...then they told me Rina! Hello Kitty is waiting for you. I was led to another room and there waiting for me Hello Kitty and she hug me and then both pose 'kawaii' stuff. I was like ...OK!!! just play along la. Then when times up they led me to photo counter and there they asked me to purchase my photo with Hello Kitty. huhuhuhuh the price start with 2,000 yen. Me was like...I look so ugly on the photo. Not worth of my 2,000 yen. kekekeke..No thank you Kitty Cat! Since my timed entry for Harry Potter was at 10:10am, I have no choice to find the place soonest possible to avoid late. Remind that you need to be punctual or you will get rejected. Since I was super anxious , I really linger around HP place until my entry time. huhuhuh...one nervous freak minion. A visit . Another reason I visit HP is to taste the most shout out HP specialty drink, Butter Beer. How to describe butter beer taste??? To me it taste more like light root beer with vanilla ice cream topping. Its not too delicious but it addictive to me. I drank as many as I can. But can take 3 of it. 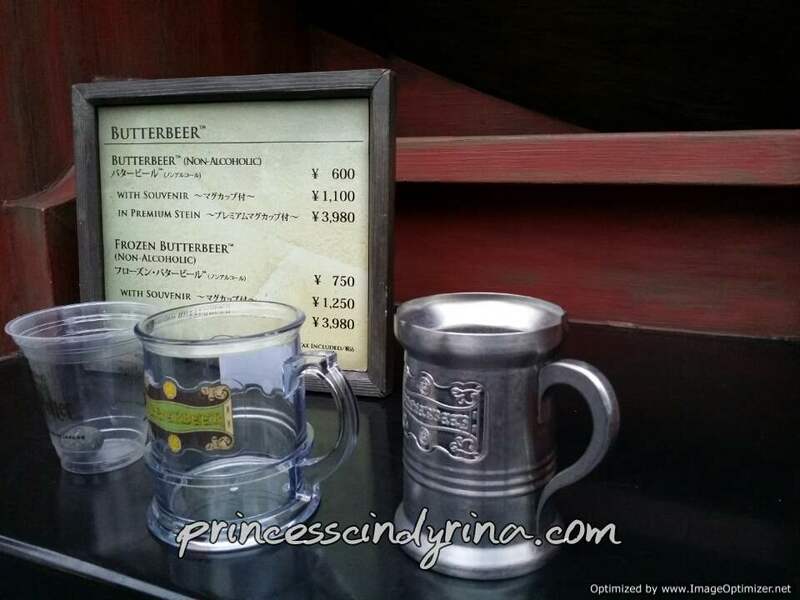 My last butter beer is in that 1,100 yen plastic mug for my souvenir. They are very pricey. The cheapest keychain cost you around 1,600 yen. The staff at most souvenier place at USJ are pretty much friendly. They are fine for you to take selfies with all the merchandize as long as you are careful with it. I got express entry for this. It was really fun for Spiderman ride where you experience Spiderman saving you from super villian. The ride was really lot of action, drops and spin with awesome 3D graphic. Not to mentioned the lights, fire, fog ,smoke and water spray too. Really worth the express pass. I have entry time for this one at 12:50. Really worth of express pass for this one. I screamed on top of my lung for this. OMMMAAAAA!!!!! save me!!!! WTH! I thought I am super brave for this kind of ride. Who knows....its not a sit-down kind of roller coaster. I was up on roller coaster where my body was suspended face down in midair. When the ride started it feel like coaster pull my body high and there was noting but air between me and the ground. Seriously , I really feel like flying through the sky. Worth of my express pass because the queue was super super long time. I don't get any express pass for this but joined the queue for almost 60 minutes. Worth waiting! The staff will ask 'front fall' or 'back fall'. I chose 'front fall'. If I choose 'back fall' means everything will be backwards. I afraid my head go dizzy if everything backwards. It was really an exciting roller coaster ride and it can be scary too. You can enjoy the view of Osaka on this ride. Did I scream??? Well...of course..I went ...OMMMAAAA !!! OMMAAAA!!!! Huwaaaarrgggg!!!! throughout the ride. Did I really see Osaka on this ride ? Are you kidding me? I was busy screaming with eyes closed! hahahahahaha...Should I tell you more???? I know nothing and really don't know what was happening.Do you think I want to join the next 90 minutes to queue for the 'back fall'? No thank you! My head was spinning hard after I got down. I still need to find my way home later. At this point even my leg feel so weak. I have express entry pass for Jaws or Terminator or Backdraft. I was aiming for Jaws but that ride was closed for maintenance. Use up for terminator then since the backdraft waiting time was super short. Tell you about it why is was very short waiting period for backdraft later. Terminator is basically a show. You will join the crowd standing listening for almost 15 minutes briefing by one lunatic woman host in Japanese language. For those who understand , they will laugh at her antique. I was standing there stare blank like a fool. Then everyone led to theater with 3D glasses. I basically doze off! Super boring for me. Not worth of my express pass. Waiting time only like 30 minutes. Super short time. I was wondering why this is not so popular. huhuhuhuh...I will tell you why. You need to join the crowd for briefing by uniform people in dark room. They look like army and very serious briefing in Japanese. I guess if I understand what they talk about at that time, I already ran out for my life. But...I don't understand any single words. I just waited for what happened next like fool. They then show movie clips on people found dead and sort of evil or monster attacked the town. After the clips all of us were led to the back door. I thought all done. When I was walking among the crowd my thought was like...cehhhh...what is this??? No ride! Nothing! Then I realize something fishy. I was walking with on my side was covered by dark wall. Then I heard people creaming like mad at the other side of the wall. We was then been put to wait and only release in group of 10 at most. As my turn came, I walk calmly and at left and right full of thick bushes and then.... 'F' ! ''F' group of zombies appeared from left right and in front of me. You think this minon will still walk.Hell no!!! I ran and ran and ran...don't care whatever..I just ran ran and ran...who cares! Then reached to the end. The rest of people in front of me was waiting with panick and shocking face. Some even almost in tears. There are few exit. The army pointed to one of the exit. I just ran and if I don't the zombies will surround me again. It was horror outdoor maze. After reached to exit...I was panting. WTH! WTH! with this backdraft. Then when I read the show in front of that place. Backdraft 'Dead Forest' . I wish to notice that before I even join this game. Uwaaaaaaa...Backdraft! not ever again. Not worth to scare off this minion!!! Bad zombies!!! Bad zombies! You know how realistic is Japanese cosplay can be. The make up really like real and the feeling..I feel like Gong Yoo in Train to Busan. My knee almost fall out! I join this to console myself after running hell out for my life from zombies. It was a fun show. I laugh out of this. Guess! at that point my mind really went super crazy after 'Dead Forest' run. I was not myself when I reached Sesame Street. I remember this is one fun ride too. You will be riding on a space ship and really fun. My mind almost forgot the zombies earlier. Worth of my 40 minutes queue. 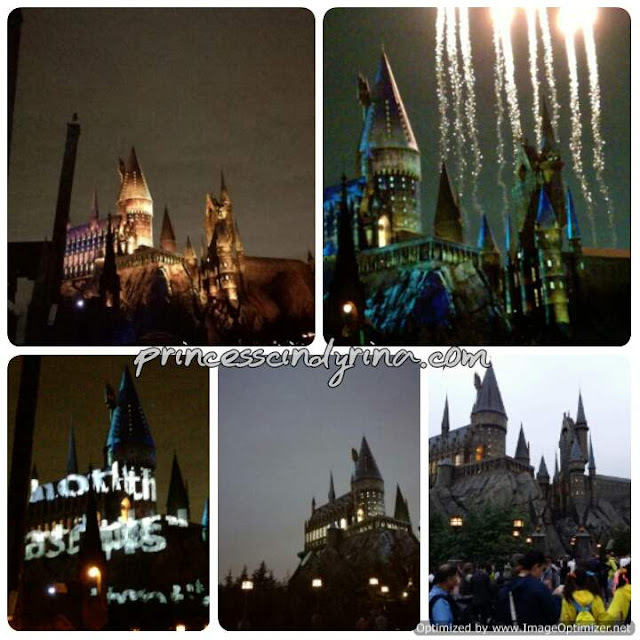 Hang around The Wizarding World of Harry Potter in evening. When I was there the show started at 6:30pm. Really love this show. I watch death hallow flying around the Hogwarts. No need to join the crowd and standing like a fool right in front of the castle. I just watch it peacefully far from other crowd standing near to food cart while enjoying the corn churritos. When you are tired...just sit anywhere you want. Minion park is super crowded too. Mostly parent with kiddo. People really queue up for cute minion sandwich and bun. I noticed they block certain area with sign 'zombies zone'. My thought at that time still horrified from 'Dead Forest' maze run. 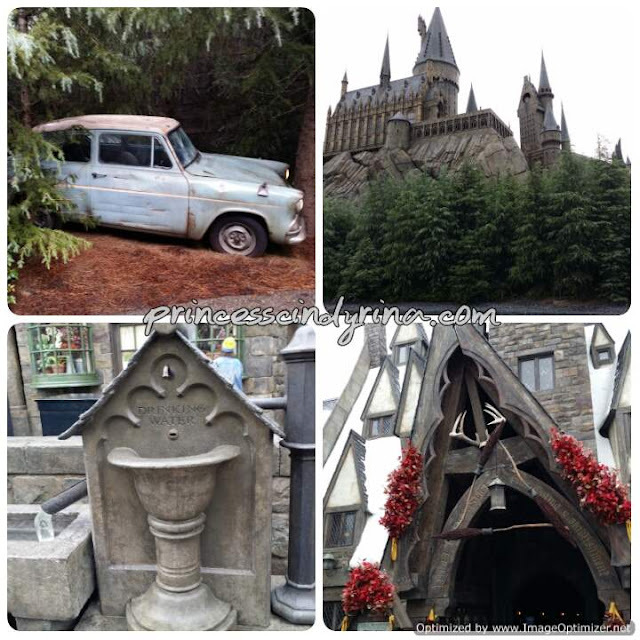 huhuhuh...I really hurried find my way out to the exit after the 'Expecto Patranum at The Wizarding of Harry Potter. Not another run. The Zombies chased earlier on already giving me a nightmare. I wish bought that wand from The Wizarding World of Harry Potter. At least can use Expecto Patranum spell to all Zombies. True enough!!! it was dark at that time and USJ was invade by zombies. OMG!!!! They are everywhere. I dare not look further. Bad month for me to visit USJ. Blame my Mum for giving birth during Halloween Month. Poor my mum..hahaha So innocent in this story! 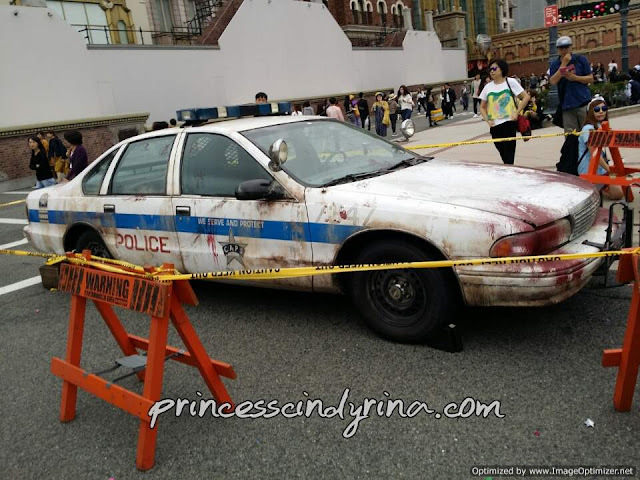 Although if you was outside zombies zone , the zombies still chase and scare you off. I was running hell out of my life to the nearest merchandise store.I even saw the girls behind me fall hard while got chase by zombies. I only dare to find my way out if sees the zombies are not around.If there is a video cam they will see one minion head peep in and out from the nearest store. She ran then hide and run and hide again and runnnnnn all the way when sees the exit door. Things could have change if I dress as Zombie instead of Minion. huhuhuhu... bad cosplay choice. I safely reached to the exit and end my day at USJ. What a thrilling and exciting experience during my 43rd birthday! I went to Tokyo but was so caught up with work that I couldn't visit US. Will definitely visit there too one day. Really nice to read this. Now I know which ride I should not go since I am planning a trip there next year. Thanks. It looks like you had a great superb experience there in Tokyo Japan. Seems like you really enjoy that. I will definitely put this on my bokmark as my future reference to our next travel. It's going to be a fantastic day. This place is in Osaka! I wish you really read it before commenting. This is Osaka not Tokyo. Oh, even reading your post got my adrenaline pumping. Although I have no idea if I will have a chance to ever visit USJ one day, this will definitely be a good guide to me when the time comes! And it won't be in October. Scary as hell! Happy birthday to you, by the way! Waiting time was so long even at single lane. I think still worth to add the express pass. If have budget get VIP pass. That will be WOW!!!! You look so kawaii in your Hello Kitty photo opt. And glad you got an express pass. Would you know any site deal to get this passes including VIP passes for discount price? Wonderful ! look like you had fun so much. So match on you and really kawaii!! Wanna plan plan this now... OSAKA!! Lol .. I was laughing like mad reading about your zombie experience! You arh! So funny. I'm not into large crowds and long queues too. At least now that you look back, you can give yourself a pat on the shoulder for checking this off the list. I laugh too when I flash back my experience there. If anyone going in October...pls pls dress as Zombies or any monster. They don't disturb their kind. 'Kawaii'? You are the easiest victim. wow, this USJ looks interesting. this place gonna be in my list cuz im travelling to Japan soon. thank you for your sharing. this is really really my dream place I wish i can visit one day soon!! 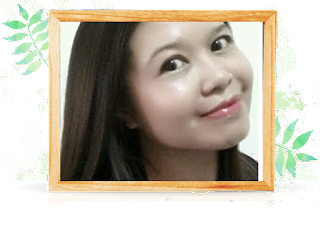 !and thanks for sharing the express ticket tips!!! will keep in record.